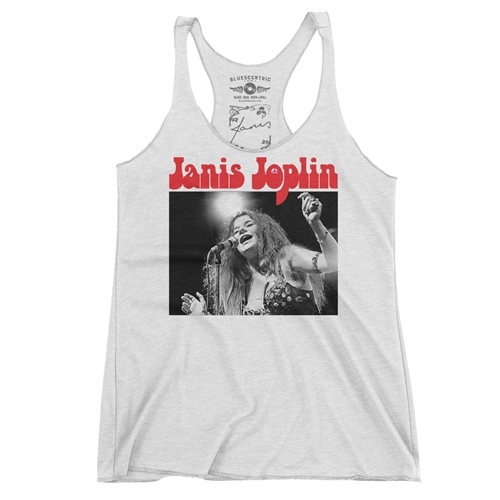 The official Janis Joplin tank top shirt features a famous photo of Janis and a subtle Peace sign. 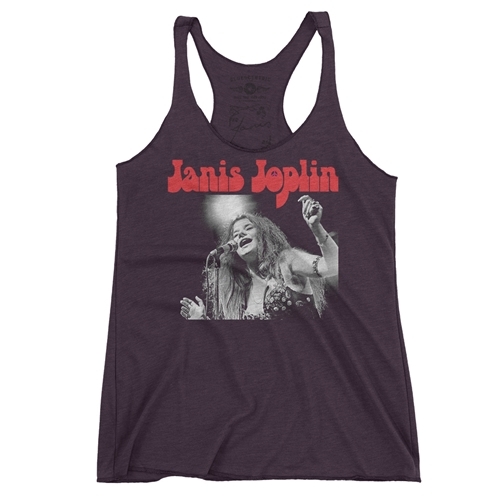 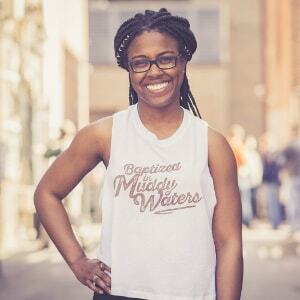 The Bluescentric Brand Backstage Janis Joplin Racerback Tank is a premium Next Level brand fabric-laundered 4.2oz triblend 50/25/25 polyester/combed ringspun cotton/rayon racerback tee. 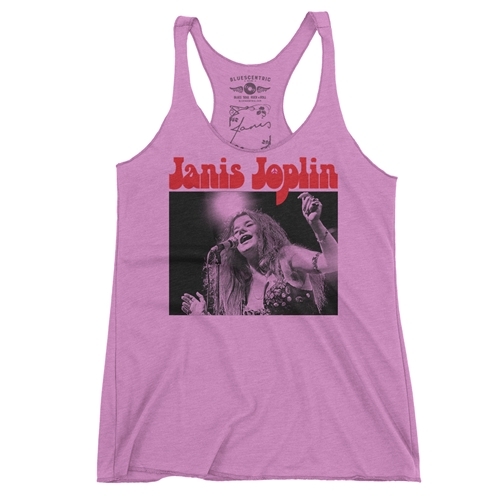 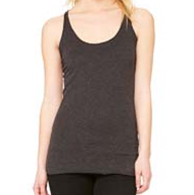 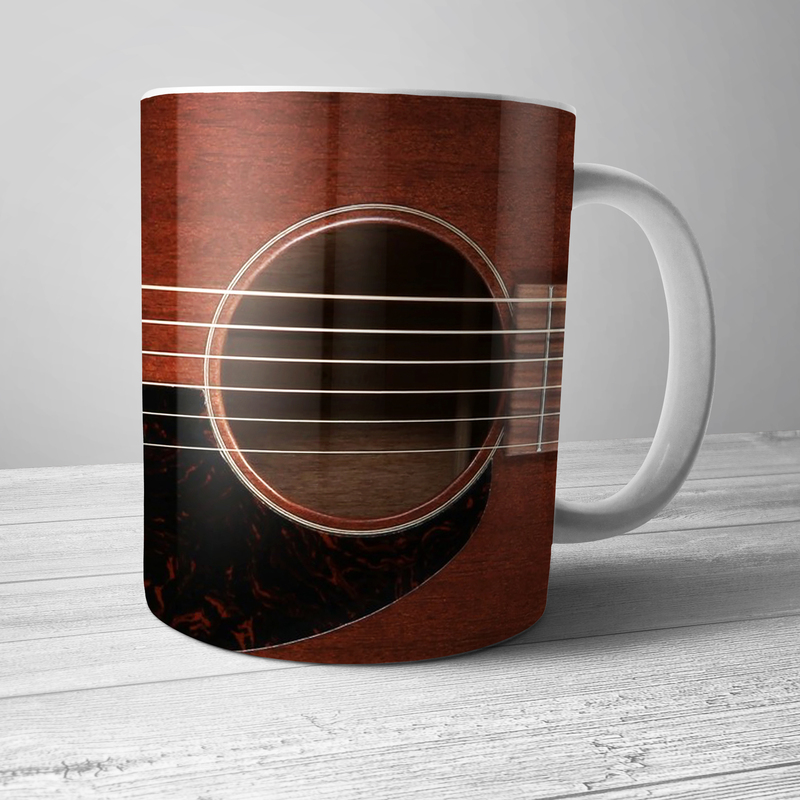 It's available in sizes XS-2XL and three colors.